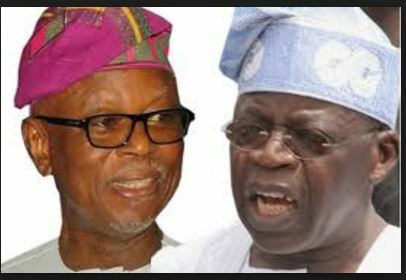 Embattled Deputy National Publicity Secretary of the All Progressives Congress (APC), Comrade Timi Frank, has alleged that the Chairman of the party.John Oyegun has made moves to sack Asiwaju Bola Tinubu and Alhaji Atiku Abubakar from the party. “Chief Oyegun is vigorously working to ensure that he pushes out some prominent members of the party including the National Leader Bola Tinubu, myself and so many other leaders who have spoken against his leadership style which is now more of a dictator,” he said. Comrade Frank also noted that it is shameful for the National Chairman to talk of indiscipline “when he has breached the same constitution more than any other persons. His leadership has breached party constitution several times, even as regard to National Convention which the party law states clearly that it must be held every two years. He said if APC is a Democratic Party, members should be allowed to criticises the wrong doing of the handlers. “Some of us have prepared to meet them at the convention no matter the evil agenda they are planning against us,” Frank said.